Bangladesh Education Board Job Circular 2018 has been published yesterday for the various categories and posts. The application for the job circular will be going on up to . 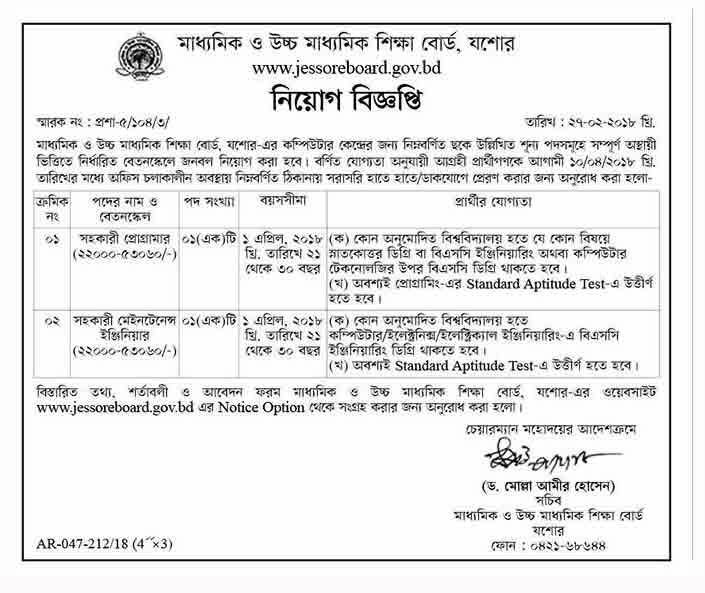 The applicants need to apply for the all posts after downloading the application form visiting the official website of jessoreducationboard.gov.bd. Like our page to get updated at www.facebook.com/www.dailybestjob.com.bd. Bangladesh Technical Education Board Job Circular 2017 for the education board of technical has been announced on 14th August 2017. With their six different categories job posts. The applications will be available up to 10th April 2018. To apply for those categories applicants need to be eligible and have to apply after downloading the form from their website.